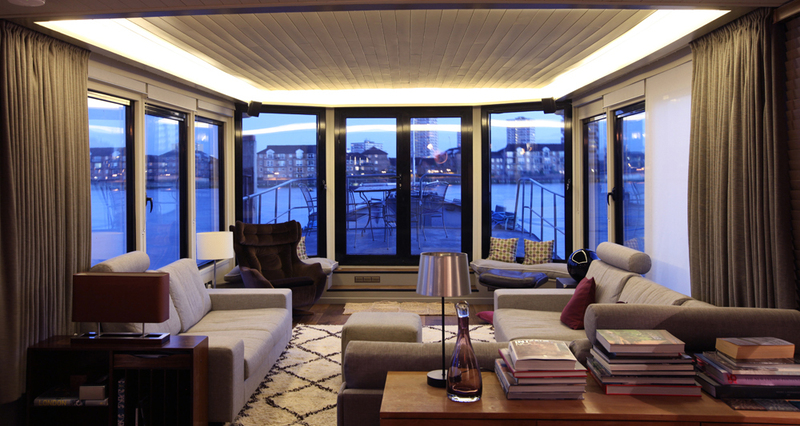 When the oldest boat in the yard came up for sale, the owners could not resist buying it to create a London base on the Thames. Our Design Director was brought in to make the most of the lighting for this unusual contemporary residence. Using a combination of the latest LED technology and halogen, we designed a layered lighting scheme to maximise the space and create a flexible home. LED Contour provides a glow in the coffer above the relaxed seating area whilst copper Spinakers provide an marine inspired downlight in between the windows. The bow in the master bedroom is highlighted using LED Contour to make the most of the architectural features of the boat. Low level light is provided by two 1w LED Cazallas for a soft night light. The dressing table is lit with decorative wall lights and Polestar LED spotlights to add sparkle to the dressing table. In the bathroom beyond, Bari wall lights provide good light to the face either side of the basin. 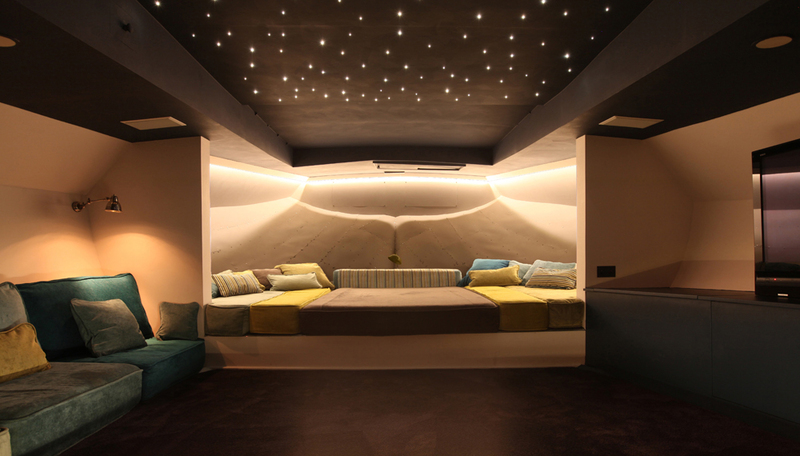 An LED starry sky creates a magical glow in the media room.